Even better than a dinosaur balloon. A funny story that can’t pop or float away. Just lovely. Not many things in life are more perfect than a bouncy balloon. 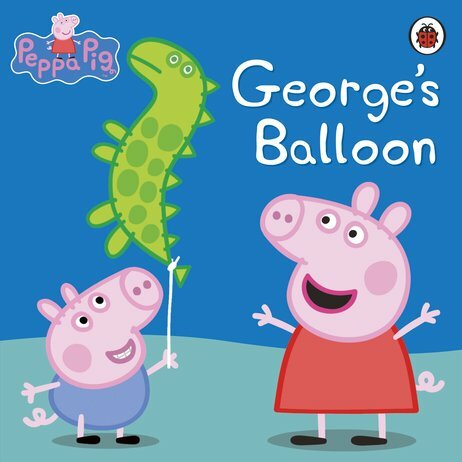 Now Grandpa Pig has bought George a special balloon shaped like a dinosaur. If it was yours, we bet you’d hang on tight to it. But George is still quite teeny-tiny, and he keeps letting it go. Who will rescue the balloon when it starts to float away? And where is Peppa? Smile and be charmed by this colourful tale of what it’s like to have a little brother. AD500L Lexiles are the global standard in reading assessment. They are unique as they are able to measure a child and a book on the same scale – ensuring the right book gets to the right child at the right time.